Athy Golf Club was formed in 1906. 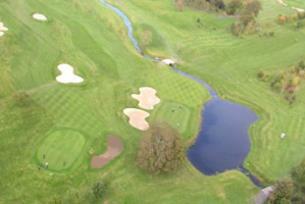 Originally a 9-hole course, Athy was extended to 18 holes in 1993. Some major development work has been carried out on the course to create a tougher test of golf. The teeing grounds on the 11th hole have been changed; a new par 5 has been built where the third shot is to a green protected by a lake; new trees have been planted and 33 new bunkers have been built. The course is now only marginally longer but it was decided that a premium be put on accuracy and not length. Despite all these changes the course is still considered to be a fair test of golf and the club hopes you enjoy your visit to Athy as much as they enjoy playing it as members.